Just when you thought Brett Favre was officially retired. Forever. However it seems No. 4 may be considering a return to the NFL … though — no — he’s not going to resume his playing career in a bid to reclaim his passing records from Peyton Manning. During an ESPN Radio interview in Wisconsin on Thursday, the Hall of Fame quarterback admitted he’s mulled becoming a general manager or coach in the league. “That type of stuff has crossed my mind,” Favre said on ESPN Wisconsin’s Wilde & Tausch show. 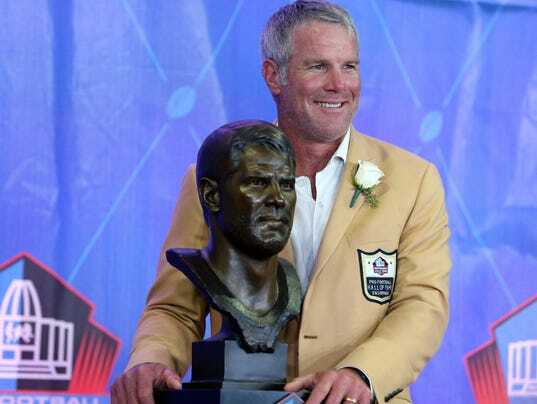 Favre, who spent 16 of his 20 professional seasons with the Green Bay Packers, retired following the 2010 campaign. He’s kept a fairly low profile since, doing some media work and serving as an assistant for the Oak Grove High School (Hattiesburg, Miss.) football team for two years.